Immediately after law school, Ms. Sandoval moved to Los Angeles, California where her practice included general civil litigation with an emphasis on professional liability defense, construction defect and personal injury. 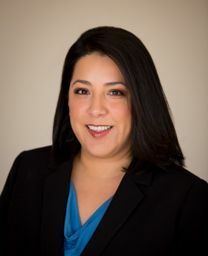 After five years in California, Ms. Sandoval gratefully returned to Texas where she continued to expand her knowledge of personal injury, wrongful death, premises and product liability, breach of contract and construction defect cases. Ms. Sandoval has also litigated a significant number of first party-insurance cases as both a Plaintiff and Defendant. Most recently, Ms. Sandoval has focused on the defense of transportation companies and their drivers. She received a Bachelor of Arts degree in 1998 from the University of Texas at Austin and received a Juris Doctor in 2001 from the University Of Texas School Of Law. Outside of the office, she enjoys spending time with her family. Ms. Sandoval is an avid sports fan who enjoys attending professional and college football games, watching Los Angeles Dodgers baseball and listening to live music.